This entrepreneur spun away from the high tech but mature semiconductor market to being an entrepreneur at 500Startups and closing a seed round from GGV Ventures. Vijay Ramani is betting on mothers and sliming down their children's closets. 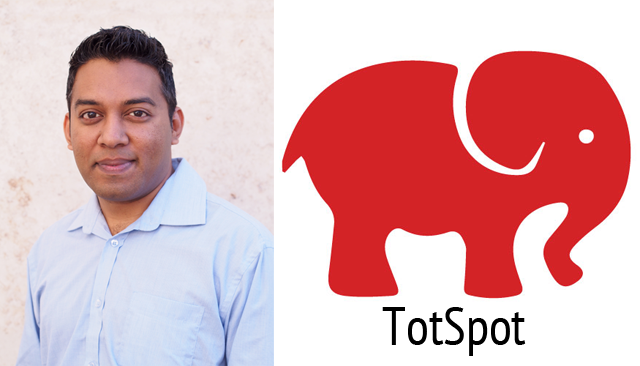 TotSpot is a community of moms that have a marketplace for children's clothes. Please give it a listen. "TotSpot is a community of moms that buy and sell from the mobile phone"
"our laser focus is on the experience for busy moms and being able to bring that experience to moms on devices that moms are already intimate with"
"there is a personalization engine in TotSpot that allows you to see relevant items based on your kids ages, sizes and brand needs"
The idea is not new(consignment stores, mom clubs and ebay) but the approach to selling it to millennial mothers who lifestyle is very busy and diverse and familiar with mobile phone technology is unique. This mobile commerce model has an upside for growth and GGV Capital and Jerry Yang know that too. Another thing I believe that makes this startup attractive is the simplicity of process which in a lot of e-commerce transactions can just kill the growing services. TotSpot makes the transaction easy - no listing fee, sends you the shipping label and covers insurance coverage is just a few examples. Check them out in the iOS App Store or find out more on their website here.